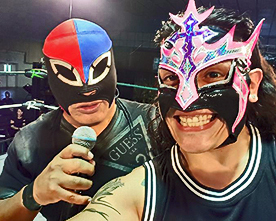 Pro Wrestling Revolution returned to Watsonville at the Watsonville Fairgrounds on Sunday June 21st, 2015 as we celebrate Father’s Day, Dia del los Padres. 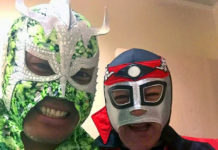 What better way to celebrate it by having two sets of generations of luchadores wrestle on our event! We had La Familia de Tijuana lead by Damian 666 and his son Bestia 666 and La Dinistia Guerrera lead by Fuerza Guerrera and his son Pro Wrestling Revolution Jr. Heavyweight Champion, Juventus Guerrera. It was such a great time had by all and we look forward to our return!